"Mrs. Jackson said the family tried to help him but he would have nothing to do with it," Det. Orlando Martinez said. "She had asked Michael if he was taking any drugs, and he denied it." In this Monday, Feb. 28, 2005 file photo, Michael Jackson follows his mother, Katherine Jackson, as they arrive for court on the opening day of his child molestation trial at Santa Barbara County Superior Court in Santa Maria, Calif.
Michael Jackson's mother sat in court Thursday as a police detective testified that she told him the family had tried drug interventions for the singer, believing he was addicted to painkillers. But Detective Orlando Martinez said Katherine Jackson told him her son refused any help, saying he didn't have a drug problem. The testimony came under questioning by lawyers for concert promoter AEG Live LLC, which is being sued by Katherine Jackson for negligence in the star's death. Martinez, who took the lead investigating Michael Jackson's June 25, 2009, death, said he first interviewed his mother at the hospital. But six months later, he decided to go back to her and check out "some things regarding family meetings about addiction." He said it was then that she told him about several attempts by the family to hold interventions and get Jackson into rehab. "Mrs. Jackson said the family tried to help him but he would have nothing to do with it," Martinez said. "She had asked Michael if he was taking any drugs, and he denied it." Martinez said Katherine Jackson told him she believed her son was taking medicine for back pain and might have become addicted. "What did Mrs. Jackson tell you?" asked AEG attorney Marvin Putnam. "The family attempted several interventions," said the witness. "She had talked to her son about drugs herself." She said the efforts produced no results, Martinez said, because "he denied having a problem." Katherine Jackson also told the detective the first time she ever met Dr. Conrad Murray was at the hospital the day her son died. Murray was convicted of involuntary manslaughter after giving the anesthetic propofol to the pop star. Bottles containing pain killers also were found in the singer's bedroom. Guy Pearce and Rebecca Hall talk about keeping up with Robert Downey Jr.
Martinez said he also interviewed Jackson's son Prince at the hospital. But his handwritten notes of that interview were not allowed in evidence because the interview was not recorded. Earlier, Martinez said that five days before Jackson died, his manager called the singer's doctor, told him Jackson was sick, and implored him to have blood tests done, according to a voicemail played in court. The message left by Frank Dileo was retrieved by police from Murray's cellphone. "I'm sure you're aware he had an episode last night," the message said. "He's sick. ... We gotta see what he's doing." Plaintiff's lawyer Brian Panish acknowledged outside court that the episode occurred on the day Jackson was told by Kenny Ortega, the director of his "This is It" concert, to go home from a rehearsal because he was pale and shivering. Panish suggested that if Dileo was aware of the incident, so were AEG executives. Jurors were not given any further details on the episode. 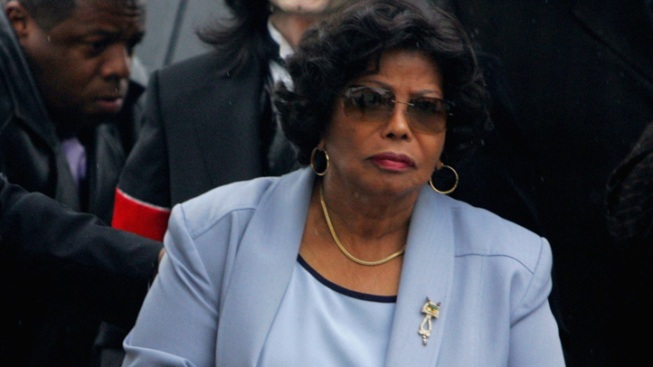 Katherine Jackson's lawsuit claims AEG didn't properly investigate Murray. AEG denies it hired the doctor, and it is likely to blame Jackson for insisting on having Murray as his doctor because of his dependence on propofol, which Jackson used to sleep. The company alleges Jackson was addicted to numerous drugs.